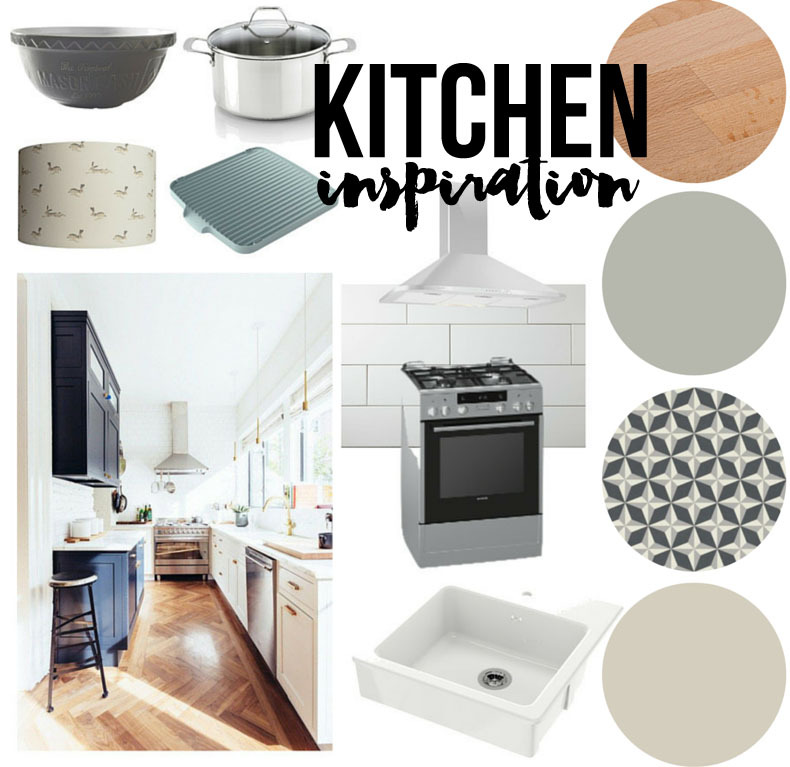 Now you’ve seen the current state of the kitchen, it’s time for me to share some inspiration. We’re slowly progressing on this room so I’m ecstatic at the idea of cooking in it (and buy lots of bits and pieces to finish it off). The kitchen is very narrow and there is a bay window on the right side of the kitchen. I think it makes total sense to place the cooker in the middle of the U kitchen, like pictured. Luckily for me and thanks to a father in law who can drill holes into walls, we’ve changed the layout and it is now possible to have a cooker and kitchen hood in this spot. 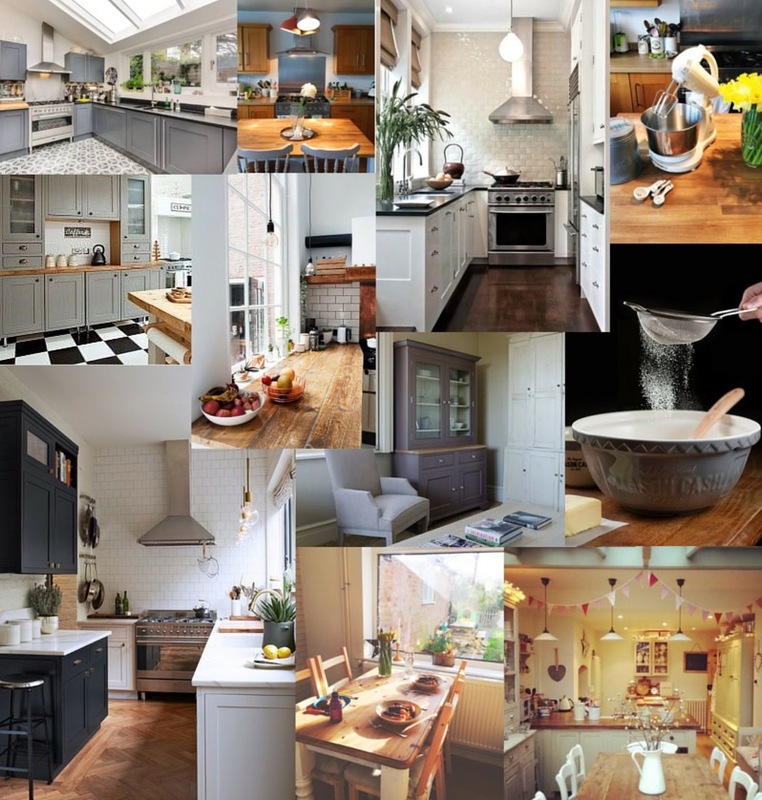 I love British kitchen designs as you might know already, so I decided to go for a “countryside but elegant look”. This is only an inspiration post because we have THE dreaded BUDGET. Yup, it wouldn’t be much fun if we weren’t limited in our choices. 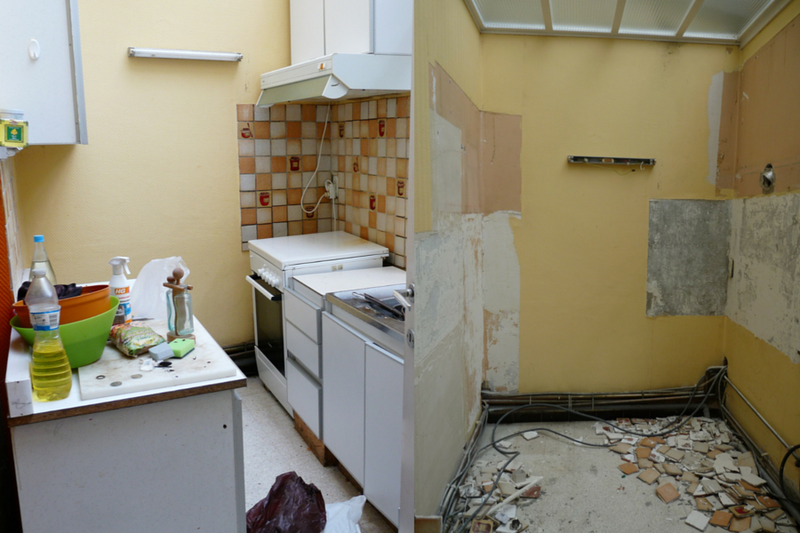 We plan on redoing the fitted kitchen for approx. 500€. Luckily, my parents gifted me a new cooker, my in-laws offered us their old dishwasher (sadly not stainless steel) that they forgot was sitting in their garage, my grand parents had a barely used kitchen hood and my uncle gave us a brand new tap that didn’t fit on his sink. That’s already some major savings so we’re happy. As I shared in this post, I already bought some JosephJoseph sink related bits and a few Dille en Kamille accessories. I also have been buying pots from M&S and we have the wall paint (Craie by Flamant). Do you like it so far? I’ll keep you updated on our more recent work in the kitchen (and in other rooms if I take the time to take pics), so stay tuned! Those images are from my pinterest board and from Charlotte Taylor’s instagram. Check out my home posts here.